It was a terribly long, cold winter. 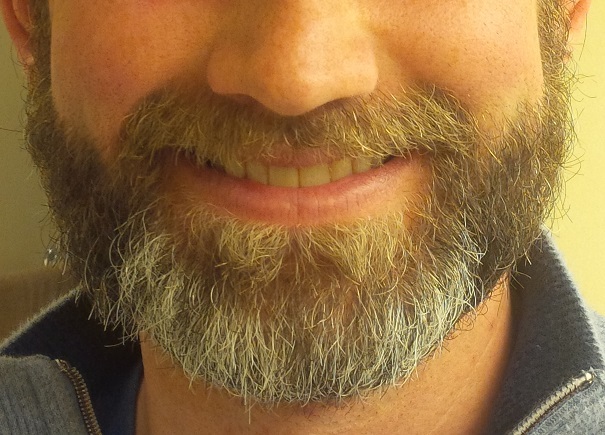 Welcome to the One Bearded Golfer blog! 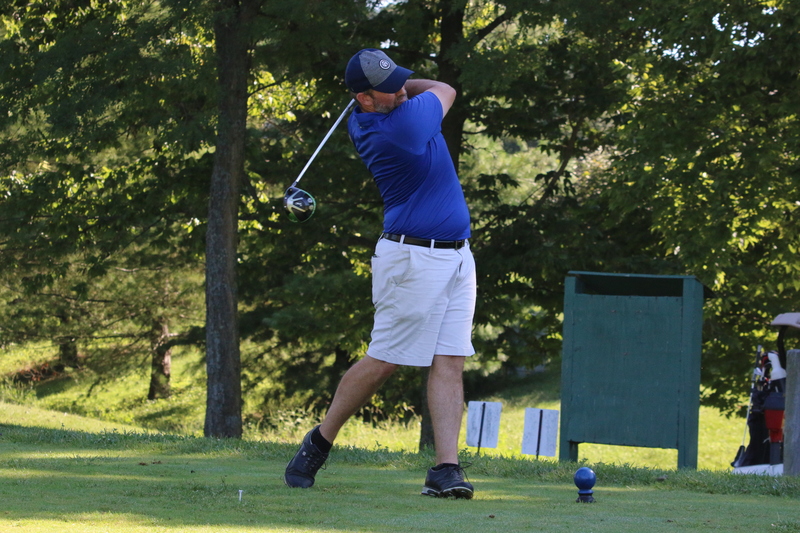 I’m an avid golfer, in addition to being a husband, father, friend, son, brother, and dog lover, living in Lexington, Kentucky. 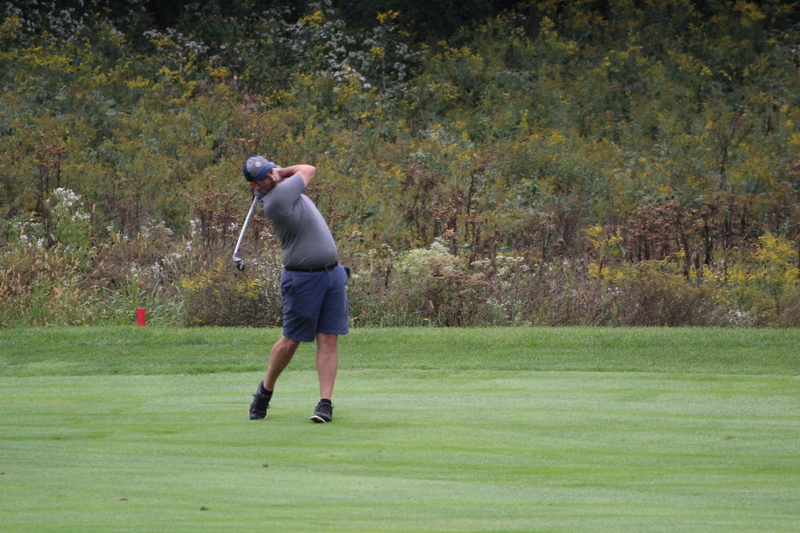 I started this blog to chronicle my adventures in golf as I navigate the journeys of life with friends, family and loved ones, and the occasional double bogey. I have a multitude of varied interests but golf is my passion. I love to play and compete. I enjoy the exercise and the challenge. I savor the camaraderie and the peace I often find on the golf course. I like to think about golf. About the mechanics of my swing. About the amazing spaces on which golf is played around the world. About the health and future of the business of golf. Any many more topics. My inspiration to chronicle my golfing adventures in a blog was two-fold. First, I have lofty and realistic goals for myself regarding the golf courses I want to play in the coming golf seasons. It will be a new direction for my golfing “career” and I want to be able to remember the good, the bad, and the remarkable. Instead of trying to keep a physical scrapbook, I decided to create this blog, which will essentially be my online golf journal. Along the way, I hope it’s a vehicle to expose people to courses they may not be familiar with and a place to swap memories and stories of those that went before me. 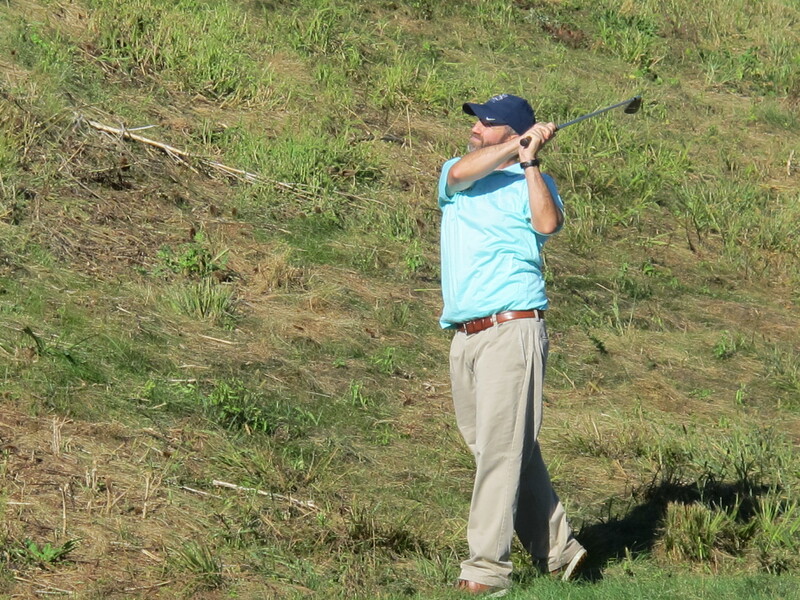 Also, for the better part of the last decade, I thoroughly enjoyed following Moe and Ron’s golfing travels and travails across the Commonwealth over at GolfKentuckyLinks.com. A few years ago, Ron and Moe gave up publishing their weekly golf adventures and turned the reins of the website over to a new crop of golf addicts. 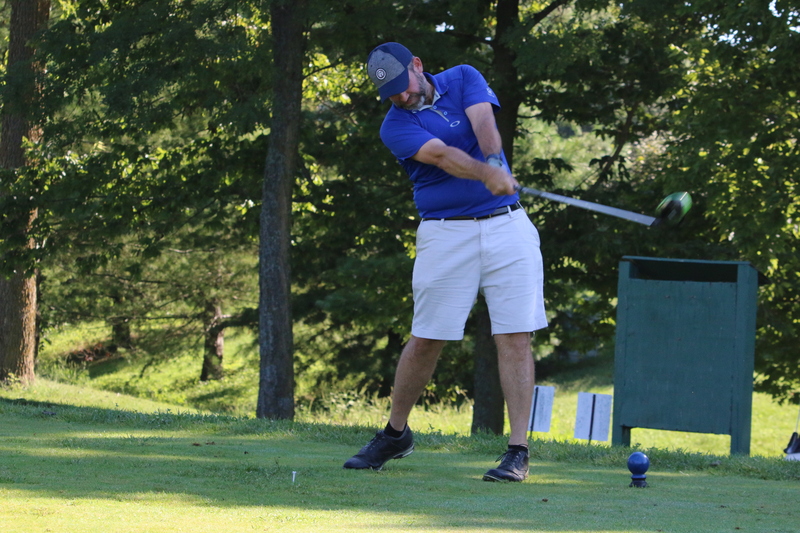 The website is still a top-notch resource for information on Kentucky’s golf courses and happenings, and I encourage you to check out the site, especially the golf course Forum. But I always looked forward to their witty commentary and editorials, and I hope to incorporate a little bit of their spirit into this blog. I hope you enjoy the pictures and the commentary. Feel free to chime in with your own thoughts, comments, or questions in any of the comments sections. 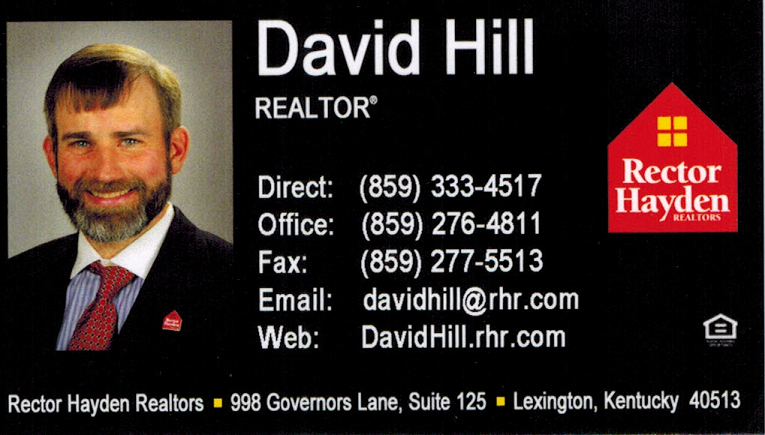 Should you need to contact me, please feel free to do so at davidhill.golf@live.com. And you can follow me @1beardedgolfer on Twitter. Golf is Dying? I don’t buy it quoted in “Fore! No, Make That Five! 5 Reasons Golf Is In A Hole,” Time.com article, June 13, 2014. Golf is Dying? I don’t buy it quoted in Tiger’s Back – But Golf Is Still in a Hole,” Time.com article, July 19, 2014. Hi Scott! Glad you’re coming to town for some golf. 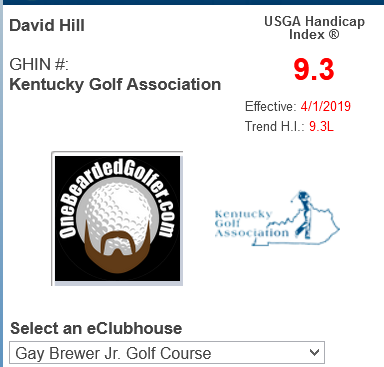 Off the top of my head, in no particular order, I’d start with these: Big Blue Course at University Club of Kentucky (Lexington), Gibson Bay G.C. (Richmond), Houston Oaks (Paris), and Kearney Hill Golf Links (Lexington). Those are going to give you a decent variety of experiences, all with solid conditioning. My first alternates would be Gay Brewer Jr. Course at Picadome (Lexington), Cherry Blossom (Georgetown), Golf Club of the Bluegrass (Nicholasville), and Boone’s Trace National (formerly, Bull at Boone’s Trace, Richmond). I have reviews of all of these on the Blog if you want to take a closer look. Have fun!